Lean directed, while Coward came up with the story. This sums up what the Coward/Lean wartime partnership was all about. ‘In Which We Serve’ is about the ordinary Brit facing the violence of war – at sea and in port as both the sailors and their wives are put in mortal danger. ‘This Happy Breed’ follows an ordinary family facing the many trials that life had to offer in the early 20th Century, including death and fates considered to be worse than death. And so the pattern continued with ‘Brief Encounter.’ This time though, the violence is that of complicated love – not quite the same as that faced by women in the previous two films but all the same, this is how Laura feels. 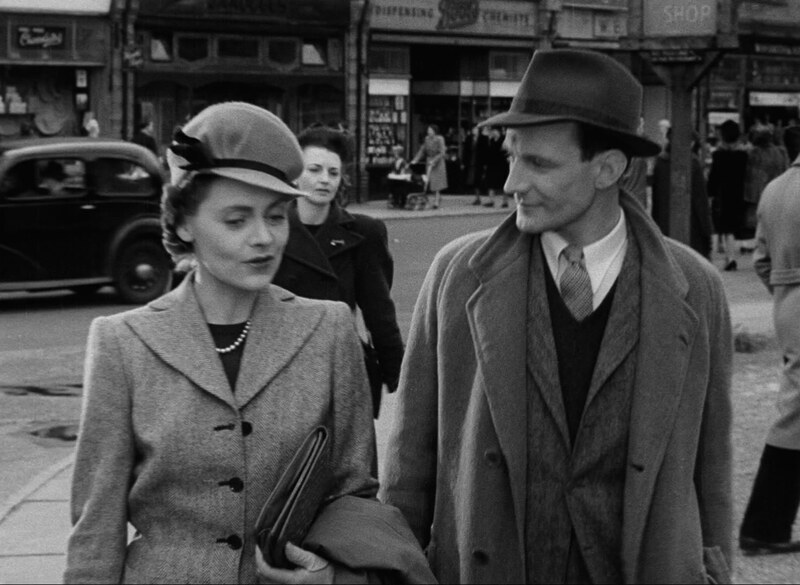 As with the previous two films, it does reflect events that were common to a lot of the British public at this time. By 1945, quite a lot of women had fallen for men who were not their husbands. The evidence can be found in contemporary newspapers. In January 1945, the Gloucester Citizen reported that the London divorce courts were trying 65 cases per day. In October 1945, the Lancashire Evening Post reported that the divorce of Winston Churchill’s daughter Sarah was granted at the same time as 291 others. I must also put a word in for the autobiography of Doreen Hawkins – ‘Drury Lane to Dimapur’. This gives a fascinating description of the process of a post-war divorce, which she went through before marrying her second husband, Jack Hawkins. She also mentions the sheer volume of divorces being handled at that time, and the temporary buildings that had to be given over to get through them all. Marriage was another, major casualty of World War Two, and though Coward gives it a discreet, middle class treatment, we get a glimpse of the turmoil that it caused.